The road to Marmalade was as challenging as ever today. 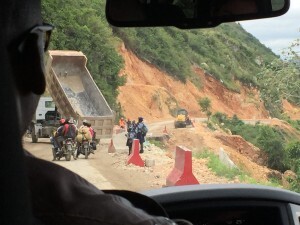 The long, winding, potholed path through the mountains experienced severe damage from Hurricane Matthew- the worst we’ve ever seen. This forced us to wait in queue in multiple places, as workers with backhoes loaded tons of dense dirt into trucks to be hauled away. We were excited to reach Marmalade, though, because today was our annual Academic Achievement Awards Ceremony! 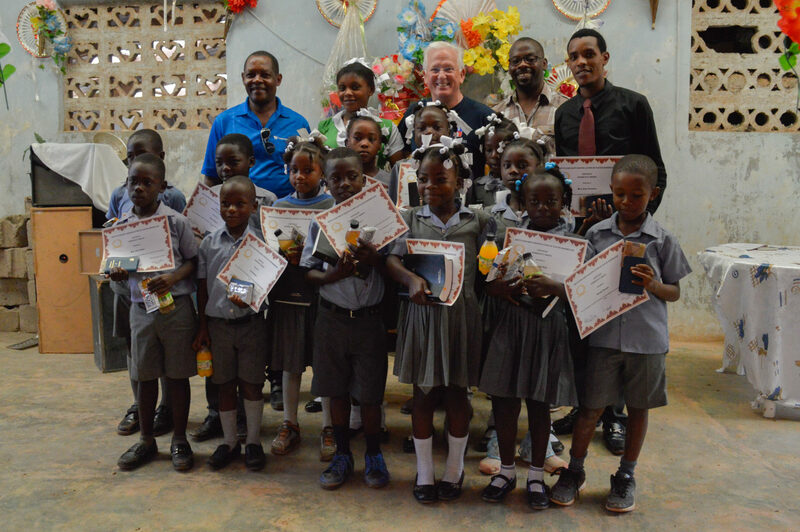 We launched these awards at the Institution Mixte Martin Luther de platon school in 2013, as part of our ongoing initiative to feed and educate schoolchildren so they grow to become healthy, employable young adults. 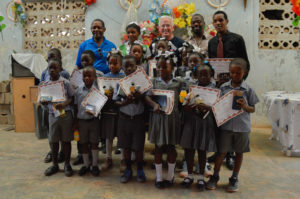 This year, we were honored to present 14 young students with achievement certificates, New Testament bibles and financial gifts, as a reward for their diligence in their studies! The recipients of our Achievement Awards are determined by the scores reported on the Ministry of Education national exam. Administered yearly, the exam is designed to measure student comprehension and progress as a child advances through each grade. Children are graded on a scale of 1.0 to 9.0, with 9.0 being a perfect score. To be recognized for their achievement in our program, a student must score at least a 7.0 on the exam. We were encouraged to see many young and new faces qualify for this year’s award in Marmalade. Oftentimes, we find that students drop out after completing primary school, as the demands of the home supersede the need for proper schooling. A large part of our mission, therefore, is to convey the importance of education to these children, because their futures do in fact depend on it. This is why we present each student with a financial gift- so that they can, in turn, pay for the next year’s tuition and remove this economic pressure from the parents. We look forward to celebrating our Academic Achievement Awards early next week in the Bethlehem school, too. Until then, however, stay tuned for updates from our One Hen pilot program, and the ladies of Se Pa Pe’ Pe’.